A former employee in a covert program has described the draconian security measures in place in extraterrestrial related projects, and the dire consequences for transgressing these. In the June 26 episode of Cosmic Disclosure, Emery Smith described what happened when he violated security protocols. 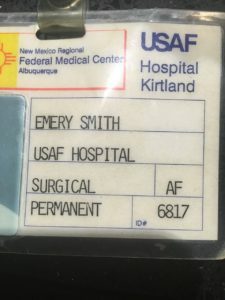 In previous episodes of Cosmic Disclosure, Smith described his involvement in a highly classified project during his military service as a Surgical First Assist based at Kirtland Air Force Base from 1992 to 1995. In addition to his regular military assignment he also worked in a classified program managed by a corporation, where he examined roughly 3000 tissue samples extracted from non-human entities. He says that he worked on approximately 250 extraterrestrial bodies. As described in a previous article, Smith has provided documentation proving his training and service as a Surgical First Assist, which makes him a credible eyewitness to events he has described. So far, the reaction of the mass media to Smith’s stunning revelations has been consistent – silence. Even the UFO research community has largely shunned Smith’s testimony, despite all the credentials he brings to substantiate his military and medical background. In the security violation incident described by Smith, he says that he befriended his commander in the classified project involving medical examinations of extraterrestrial tissues and bodies. This eventually led to the commander inviting Smith to view a captured extraterrestrial vehicle stored at Kirtland Air Force base in what Smith believed at the time to part of a recruitment effort to introduce him into a different covert project. You think because it’s your commander inviting you to the barbecue, that – and he’s been in it for 10, 20 years more than you – that everything’s going to be all right, right? And that’s not the fact. That is not a fact . . . that it’s not all right. And one of the things he mentioned to me was this amazing craft that he was going to get me involved with possibly to work on and to actually try out the flight simulator of an alien reproduction vehicle. David: Okay. How did you get there if you’re not cleared to be there? If you’re not authorized to be there, how in the world would you get into that room? Emery: There is a stipulation if you’re escorted by someone of high authority. And a lot of the times, for emergency reasons, you have to go to certain places really quick. And as long as you’re with someone that has a clearance higher than you, then the responsibility falls under that person for legal issues and for everything…. Emery: But everyone knows that if you’re not read into a project, it’s very unlikely you would go see something without knowing everything about it. And I was NOT read into the project. I was read into the project clandestinely through my friend. It’s all based on clearance. You can be a captain and have the same clearance as a general or a colonel. You can be a sergeant and have the same clearance as a captain or a colonel. Remember, it’s the duties that you perform, and what is needed to get the job done. It’s not about the . . . They don’t use the military system of rank for these positions, okay? They use the knowledge base and educational base of the people that are put in place to run these projects. Smith’s account here parallels what William Tompkins described about his work in a covert Navy espionage program during World War II. Tompkins’ position as a “Disseminator of Aircraft Research and Information” carried with it an authority that was far beyond his lowly military rank as a 2nd class Petty Officer. 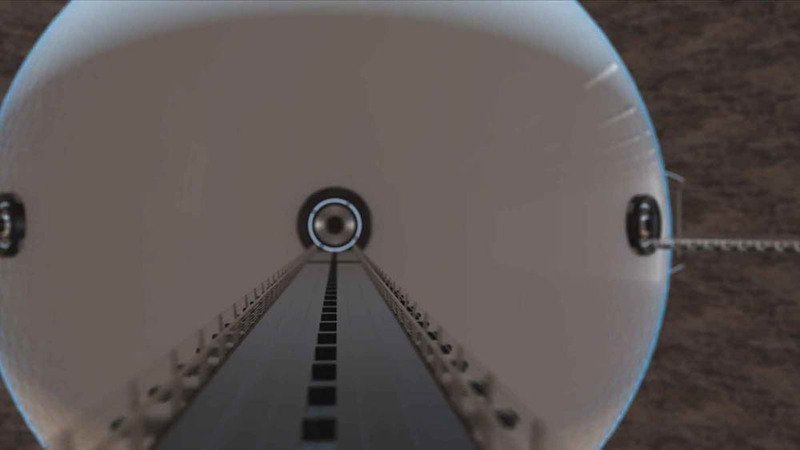 There was an actual extraterrestrial craft that they had captured and brought into one of the underground hangar operating rooms . . . the whole vacuumed one. And inside that, they were duplicating it in the same room, trying to reverse engineer the craft. 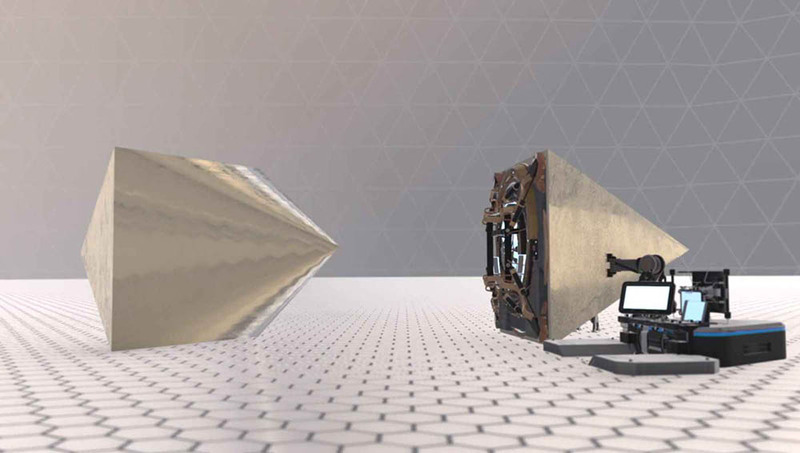 … they were duplicating it in the same room, trying to reverse engineer the craft… And it was a diamond-shaped craft, and it wasn’t that big. It was probably no bigger than an 18-wheeler [large semi-tractor trailer]…. The craft that they were making next to it was just . . . They were trying to find out how it works and how it flies around. And they were doing a lot of stuff with the actual electromagnetics of it. So they duplicated a half version. They cross sectioned a man-made half version, okay? Smith’s description of the craft he witnessed, both the diamond shaped extraterrestrial vehicle and the reverse engineered craft was captured in the following illustration. … It’s very secured, for sure. And I don’t know why they have this room suspended away from walls maybe a hundred feet. So you have this giant room now. You’re walking into it with multiple catwalks from other doors that go into it. This is not a clean area, by the way. So you don’t have to have your space suits in here. This is what we call a “dirty area”. So you can just be in your uniform there. Smith described his excitement at the prospect of being recruited into a new program, and his confidence in the Commander’s authority to recruit Smith in the manner he was experiencing. After all, this was the same person running the classified corporate program involving medical examinations of extraterrestrial tissues and bodies, who also had authority over the stored alien vehicles at Kirtland AFB. David: What was your experience? Were you afraid to talk and to say how awesome this looked? Did you say anything to the commander? Emery: Yes, I did say it. I said, “This is amazing! This is awesome! Thank you for allowing me to be part of this project.” Because I was just an . . . I really just thought this is my first introduction maybe to this, and now I’m maybe going to be part of this in some way or another…. I was figuring on him being the ultimate commander here being in charge of anything. No one’s higher than him. So how are any security going to say anything about this? Because I legitimately thought this was okay. And it was not. It’s worth emphasizing that none of the men wore uniforms which is significant given that the underground room was located at Kirtland Air Force base, and his debriefing occurred at the base. Smith’s incident illustrates that despite the secure room/facility being on USAF property and using Air Force servicemen, it was a corporation that was firmly in charge of the facility and security. 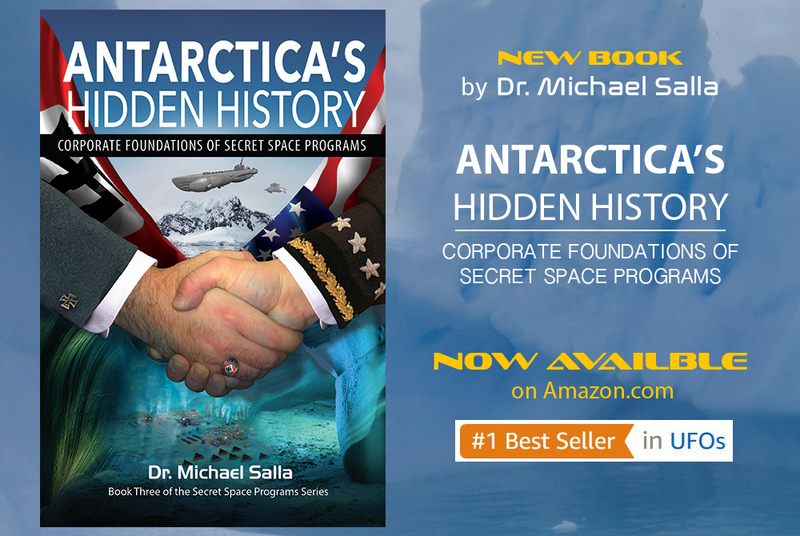 This correlates with an incident described by Dr. Steven Greer where he and former astronaut Edgar Mitchell, were told in 1997, by Rear Admiral Thomas Wilson, that he was denied access to a covert project by corporate attorneys. Wilson was at the time the head of intelligence (J-2) for the Joint Chiefs of Staff, vividly illustrating how rank is inconsequential in gaining access to highly classified projects requiring need to know access. I was petrified to go report it… I thought that was the next test. And it was, because I didn’t say anything. And that’s how I got my job back, because I was able to keep a secret. And the secret hurt me…. I was restricted from ever trying to contact him [his commander] or his family ever again “for the duration of my life on Earth”, quote unquote. David: How did this event change you in terms of how . . . because you said you were very enthusiastic about your job. You felt like you were in an amusement park almost – an alien amusement park. How did this change that? Emery: There was some sort of continuity breakdown, I thought. And I just didn’t believe in them anymore. I didn’t believe in the structure. Like, who the heck is behind this? Who is pulling the cords? Who is giving . . . You know, who is REALLY running this show down here? Who were those guys in the black suits? I started getting mad, like going mad. I was trying to figure it out for myself and now I can’t even talk to anybody about it. I can’t even . . . To my own co-workers, I can’t say anything…. Smith’s account has many similarities to the testimonies of other whistleblowers/insiders that have worked on classified extraterrestrial related projects, where stringent security process are in place. His account parallels key elements of what Dan Sherman, Bob Lazar and Clifford Stone have described about their involvement in classified extraterrestrial related projects and the security protocols they experienced. In examining Smith’s testimony, one of the things that stands out is that he was informally being shown technology outside of his primary area of expertise and training in an apparent recruitment effort by his commander. It is not clear how someone trained as a Surgical First Assist who was recruited to examine extraterrestrial tissue samples and bodies, could transfer such skills into the reverse engineering of extraterrestrial craft. Did Smith’s commander genuinely believe Smith could make such a transition or was Smith being set up? After all, there are important elements in the Lazar case which makes it very plausible that his whole recruitment into the covert operation involving reverse engineering flying saucer craft at Area 51 was a set up. Lazar’s friends and psychological profile would have been major red flags that he would break security protocols and eventually become a whistleblower. Was Smith also identified as someone whose psychological profile would eventually lead him to becoming a whistleblower? Is Smith’s coming out part of a sanctioned disclosure process by White Hats or others running covert extraterrestrial projects? 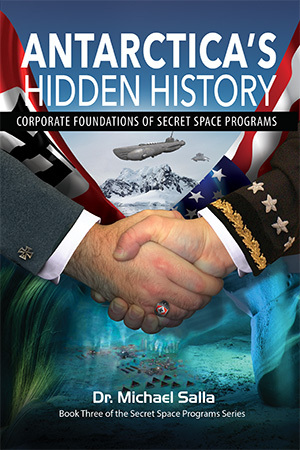 Regardless of the answers to such questions, Smith’s testimony is ground breaking and reveals important information about a secure facility at Kirtland Air Force base conducting a variety of extraterrestrial related projects under the authority of corporations. He provides corroborating witness support for similar accounts by other whistleblowers/insiders describing what they encountered in classified facilities they were recruited to work in while enlisted in the USAF or other military services. Smith’s testimony also provides important clues for understanding topical issues such as 2004 Tic Tac incident involving a Navy battlegroup encountering several Anomalous Aerial Vehicles (UFOs), a case which is being closely scrutinized by the mainstream media and many UFO researchers. Was the vehicle an alien reproduction craft, part of secret space program, or an extraterrestrial vehicle? Given Smith’s credentials and credibility as a witness, it is hard to fathom why mainstream media, and most UFO researchers, are disinterested in what he has to say about covert extraterrestrial projects occurring at secure military facilities. 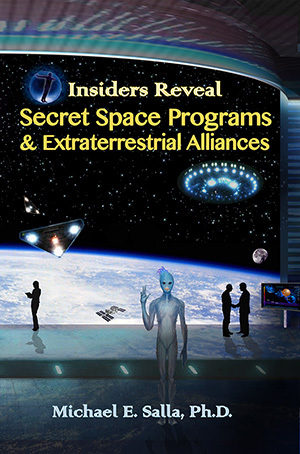 One thing is becoming clearer by the day though, reverse engineering of extraterrestrial spacecraft has been secretly conducted for decades at multiple military facilities, with major aerospace companies in control, alongside stringent security procedures to keep it all secret.